Engineers with a radical outlook on flight! 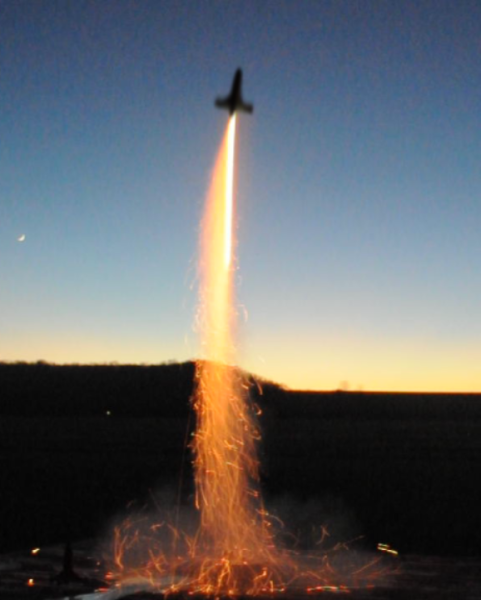 The original technologies associated with the Quad-Rocket were born in the University of Kansas Transportation Research Institute (KUTRI) between 2010 and 2014. The (then) institute director Dr. Robert Honea funded research on aircraft that could hover more efficiently than a helicopter, while being able to fly with the efficiency of a missile. The platform was originally conceived by Dr. Ron Barrett, a world renowned expert in aeronautical engineering and professor at KU. 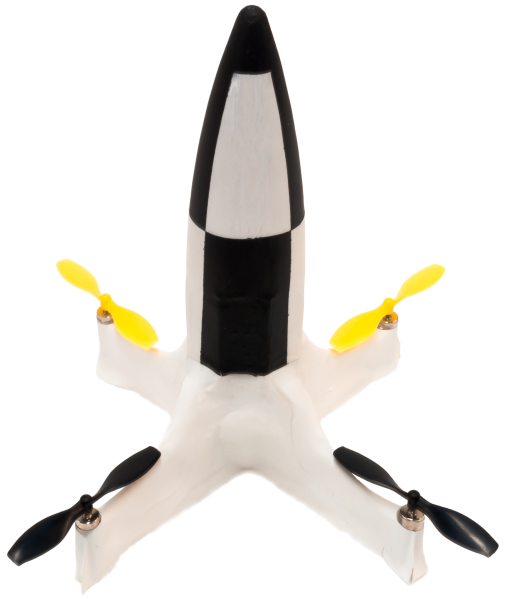 It was built and tested by Dr. Richard Bramlette, a post-doc at KU with a decade of experience in RC aircraft. 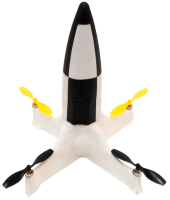 The applications are endless for a machine that offers all the advantages of both fixed wing and quadcopter drone technology. In 2014, 17 unmanned aerial vehicle (UAV) related invention disclosures were distilled into 8 patent filings supporting inventions of the XQ-139 family of aircraft to which the Quad-Rocket belongs. Subsequently, the Edissey, LLC company was formed to commercialize these inventions through a license with the Kansas University Center for Technology Commercialization (KUCTC). Dr. Honea is now CEO of Edissey, LLC. As a competitor in DARPA’s Experimental Vertical Takeoff and Landing effort (XVTOL), the DARPA Tactical Technology Office program manager explained during the debrief: “The aircraft is too risky for DARPA and will probably never fly.” We are happy to prove DARPA wrong. The aircraft not only flies, it exceeded our expectations for speed, agility, and efficiency. We have proven the platform can take off and land vertically with ease, then pivot and fly horizontally, which we call “missile mode" due to the speed and orientation at which it flies. The craft flies with unprecedented aerobatic capabilities, some exceeding the commercial-off-the-shelf (COTS) onboard controller technology.